so my friend has a gxl t2 conversion. it came with a piggy back computer but the safc2 was never installed, anywhere i can find how to install the safc 2??? 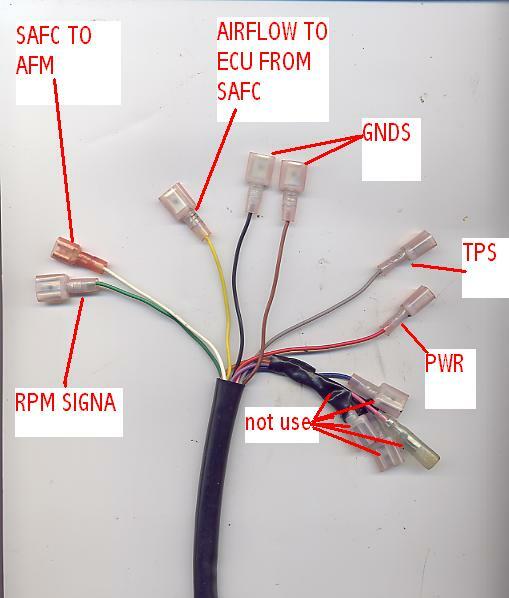 is this really the wiring diagram to the fc? this simple? See the attached JPG. That is the cover of the manual hat is sent with new ones. 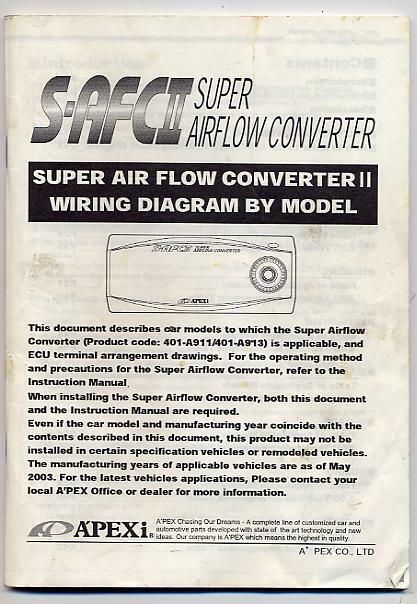 The diagrams in the other post came from this booklet/manual. 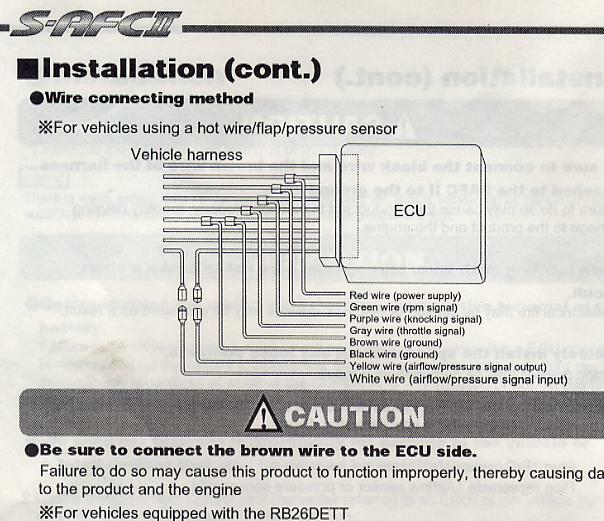 Yes, it's not difficult other than accessing the ECU in cramped quarters. 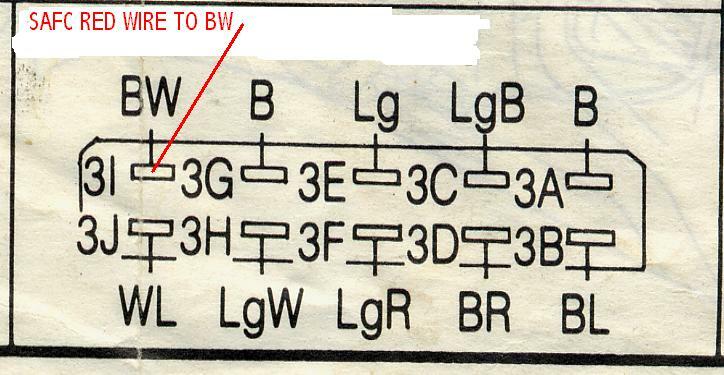 IF you look at recent posts I've made to other threads recently on this SAFC forum, you'll find some jpgs of the ECU plugs and what the pinout of the three ECU plugs showing wire colors and location. The plugs in the jpg are for series four NOT series five. Last edited by HAILERS; 01-26-07 at 08:10 AM. 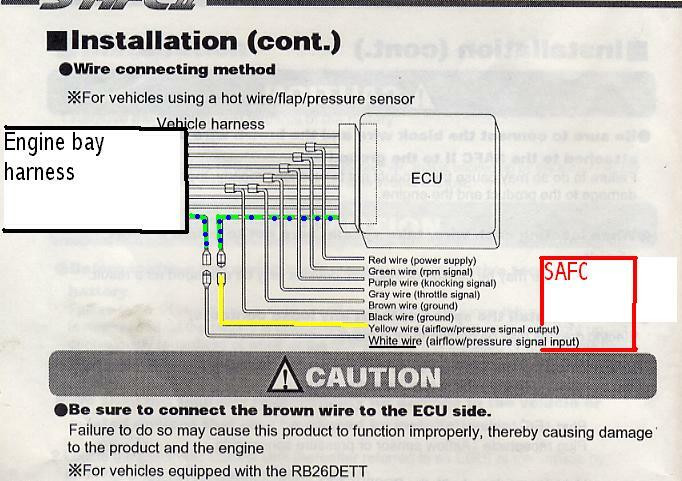 Quick Reply: safc 2 install help?!! !